Lebanon: Who’s in Charge There? 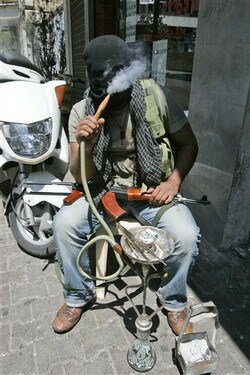 Recent fighting in Beirut and other parts of Lebanon has made many wonder who is really in charge there. The fighting began several days ago following a clamp down by the Sunni Muslim dominated government of Prime Minister Fouad Siniora – himself a Sunni Muslim – on a media network run by none other than Sheikh Hassan Nasrallah’s Hezbollah organization. PM Siniora must have pushed the Shiite Sheikh and his organization a bit too far, as Nasrallah went on the air declaring in a fiery speech that Siniora and his “so-called” government’s actions were nothing less than an act of war against the Hezbollah. 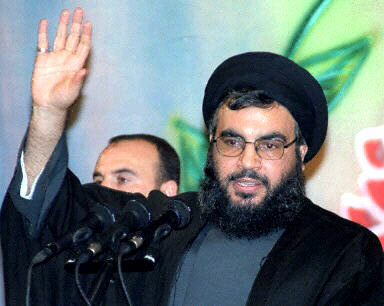 Nasrallah’s tirade was almost immediately followed by Shiite gunmen setting up positions in various sections of the Capital, which forced Siniora to order the Lebanese army to send out troops with tanks and armored personnel carriers, as to try and show Nasrallah and his followers that the government meant business. All that can be said about these events is that the fighting which took place over the past few days in both Beirut and Tripoli indicates the Hezbollah appears to have the upper hand in this new conflict that many fear could turn into another civil war, like the one that almost destroyed the country back in the 1970’s and 1980’s. The situation went from bad to worse with large areas of Beirut again becoming a war zone, and people being afraid to leave their homes, or even to purchase basic necessities. Although the situation has begun to improve a bit since the fighting broke out (which coincidentally was about the same time that Israel was celebrating it’s 60th Independence Day), the relative calm only occurs because Nasrallah and the Hezbollah backed off a bit, for their own personal reasons. Most likely, the Hezbollah isn’t inclined to assume control of the entire country, and so its people are content to consolidate their hold on areas like West Beirut, along with their known strongholds in southern Lebanon. Obviously, the Israeli government and military are keeping a wary eye on the developments in the north, as was noted by Defense Minister Ehud Barak during a visit to a kibbutz in southern Israel after a Hamas attack that took place there. Barak said that the IDF is “keeping one eye open in the south and another eye open in the north in regards to what is happening in Lebanon”. That may be indeed a good idea, as Israel’s worst nightmare would be a Hezbollah-governed Lebanon on its northern border. The 2006 war is still on many people’s mind in Israel, especially those living in the north. The actions of Nasrallah’s organization during the past few days clearly indicate that Fouad Siniora and his government are not in charge of their country’s affairs — in fact, far from it. So, who’s really in charge in the “country of the cedars”? You, the reader, can draw your own conclusions. 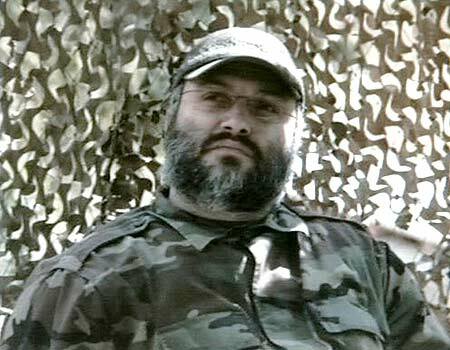 A lot of “whodunit” speculation is going around as to who really was responsible for the assassination of senior Hezbollah member and arch terrorist Imad Mughniyeh, who was taken out last Tuesday evening by a bomb planted in his Pajero SUV in central Damascus. Mughniyeh’s followers, in the Hezbollah immediately pointed their fingers at Israel, with Sheikh Hassan Nasrallah declaring that his organization is declaring “open warfare” against Israelis and Jews everywhere in world. Naturally, this threat has set alarm bells ringing in both the Israeli government and military, with strict warnings being issued to overseas Israeli diplomatic missions, as well as to Israelis planning either business or pleasure trips abroad; especially to Muslim and Arab countries, including Egypt and Jordan. 1. Both events occurred on the same day. 2. Only an estimated 10,000 people, most of them militia members, showed up for Mughniyeh’s funeral. 3. Close to 100,000 were present at the rally for Hariri. This large number represented Lebanese from all parts of the religious and political spectrum, many of whom had been active in the demonstrations following Hariri’s death that resulted in Syria pulling its troops out of Lebanon, ending a 25 year presence. Ten thousand against 100,000; that’s a big difference and seems to indicate that except in Hezbollah’s strongholds in south Beirut and southern Lebanon, a great number of Lebanese are interested in a better future for their country. This future seems to be desired without the likes of groups such as Hezbollah; whom many in Lebanon consider to be a nothing more than proxies of Iran. For this reason, it is evident that Mr. Mughniyeh had many enemies within Lebanon as well as outside of the country. 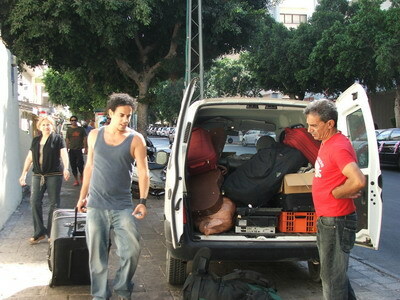 It was revealed that he had only recently arrived in Damascus, after entering Syria on a fake passport. He may have been on the run from Lebanon following a series of bombings that he could have been responsible for. Taking this and other possibilities into account, Imad Mughniyeh’s assassination may very well have been the result of his deeds simply catching up with him; not only from countries where many of these acts were carried out, but from members of his own countrymen as well. Perhaps even some of his fellow Hezbollah party members, including Sheikh Nasrallah himself, decided that it was simply time for Mughniyeh to go. Whatever the reason; good riddance. Imad Mughniyah, one of the world’s most wanted terrorists, and perhaps second or third on America’s and Israel’s “rogue gallery” finally was caught off guard in Damascus on Tuesday night. The Hezbollah terror mastermind, who is alleged as responsible for a great deal of the terror attacks in Lebanon and elsewhere since the early 1980’s was blown up by a car bomb in the Syrian capital where he has been residing for a number of years. Al Qaeda leader Osama bin Ladin still has the “distinction” of being No. 1 on America’s Most Wanted criminal list. Beginning with the car bombings of American and Israeli bases in Lebanon, and including the kidnappings and murders of high ranking American military and diplomatic officials, including CIA Beirut head William Buckley, Mughniyah was also responsible for several international attacks including the on the Israeli Embassy and cultural center in Buenos Aires in the 1990’s. As one of America’s top wanted, he carried a price on his head of $25 million, the same amount as Al Qaeda head Osama bin Ladin. He was also responsible for the hijacking of a TWA airliner which resulted in one American being killed and the rest of the passengers held captive in Libya for 17 days. Imad had many enemies who wanted him dead, including the CIA and even groups within Lebanon, such as the Philange Christian militia whose leader, Bashir Jamil was alleged to have been assassinated by either the Amal militia or the group that became known as Hezbollah. 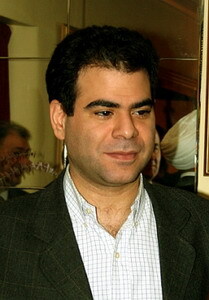 Mughniyah may also have been involved in the assassination for billionaire and former Lebanese Prime Minister Rafik Hariri in 2005. Israeli diplomatic missions worldwide are on a state of high alert following the attack, especially in light of Mughniyah’s funeral being today, which will probably be the center of another mass anti Israel demonstration, including a few choice words by Hezbollah’s General Secretary, Sheikh Hassan Sayed Nasrallah. What makes today’s event even more provocative is that it coincides on the third anniversary of Rafik Hariri’s assassination, meaning that there is bound to be conflict between the two groups. Mughniyah’s funeral is to be held in South Beirut, Hezbollah’s stronghold. If it turns out that the assassination of Mughniyah was not a CIA or Israeli act, it will be interesting to see who turns up to claim the $25 million bounty that was still on his head as the time of his death. Who knows? Perhaps this act was either carried out by the Syrians (who are a bit strapped for cash these days) or even by Hezbollah people themselves who would put the reward money into Hezbollah’s general fund to assist the “poor people of Lebanon”. That would be a real slap in the face for U.S. President Bush and his Administration. Just like the Uncle Remus character Brer Rabbit, Sheikh Hassan Nasrallah also popped briefly out of his ‘rabbit hole’ yesterday to attend a special rally to commemorate the annual Shiite Muslim Ashoura holiday on Saturday. Surrounded by more security guards than even George Bush, the Sheikh made his way to a special podium where he addressed an enthusiastic crowd of thousands of his followers, complete with more than a few harsh words to the Israel government. In fact, his words did get to Israeli officials in Jerusalem, especially involving the Sheikh’s willingness to trade what he claims are body parts of Israel soldiers for Hezbollah dead and captured militants still in Israeli hands. And judging from the amount of bodyguards surrounding him, including a crowd of at least 200,000, Nasrallah is very much aware that he definitely has a “price on his head”. But again like that mischievous fictional character in American writer Joel Chandler Harris’s children’s books, ole “Brer Nasrallah” has a few tricks up his sleeves as well. He has to have, as he was a definite target in July, 2006 when Israeli warplanes dumped several tons of smart bombs on where he was thought to be hiding in south Beirut. He obviously wasn’t home at the time, and his whereabouts were a matter of mass speculation which give his proposed location as being in a number of places, including Damascus. Nasrallah has tried to make deals before, most of which were more bluff than huff. The last major exchange was in 2003 when three dead Israeli soldiers and one live civilian, Elkana Tenenbaum were returned to Israel in exchange for over a 1,000 Hezbollah and Lebanese men. 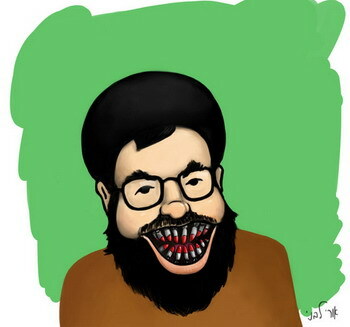 Nasrallah may be deciding though that enough is enough regarding his continuing to live underground. And agreeing to another large scale deal with Israel, including possibly the two captured IDF reserve soldiers Eldad Regev and Udi Goldwasser, it might be enough in his favor to allow the Sheikh to come out of the “brier patch”. It must be a real drag living underground for so long, and seeing the sunshine and so many of his adoring fans much have been a real adrenalin rush for Hassan. Whatever deal is finally worked out won’t vindicate the Sheikh’s actions in the eyes of Israelis however, as virtually everyone south of the (Lebanese) border would like to see his “head on a pike”. And it wouldn’t be surprising if a lot of non-Hezbollah Lebanese wouldn’t mind seeing him out of the way as well. But getting to him is probably more elusive than Brer Fox getting to Brer Rabbit. And like Uncle Remus said about Brer Fox’s chances to have rabbit stew , so are the chances to flush the Shiekh out of wherever he is hold up. So after a long break (October 2006) here she is and hopefully for a long time. Welcome Back Jill !! Part One, Part Two, Part Three, Part Four, Part Five, Part Six, Part Seven, Part Eight, Part Nine, Part Ten, Part Eleven, Part Twelve, Part Thirteen, Part Fourteen, Part Fifteen, Part Sixteen, Part Seventeen. For those of you who were reading the ‘Not Jewish? What are you doing here? !’ column that was running in OJ a few months ago, you may remember that the story came to an abrupt halt with a rapidly worded entry that glossed over my last three years in Israel and fast forwarded to packing boxes and flying out to England, to where my boyfriend Saar, a singer/songwriter, had been offered a job recording with a London-based Italian record label. Now I was no fan of London; I had lived there before, holed up in an overpriced flat in a northern side street, commuting with the miserable masses to the City, where I worked 13-hour days in a banking job that I didn’t even understand. Swaps, it was called, the basic concept of which still eludes me to this day, and the office was such an uninspiring place of stagnant boredom that a chronic fear of formal working environments has stuck with me ever since. The job, for what it was, paid ridiculously well, however (the silly amounts of cash involved in this type of work being the only reason anyone could ever possibly put themselves through it on a daily basis) and allowed me to then travel round South America, which is where I met Boaz, for whom I moved to Israel, to then split up with him, nearly move back to England, then meet Saar and end up staying, and for whom it now looked like I was going to move back to England. After all, when you’re an Israeli musician with a lifelong dream to take your talents abroad and you get offered a job in London, you pack your bags as quick as you can and you go. Anyway, I thought, I could use a break from Israel for a while. Things had been a little tense to say the least. In fact most days at that time, about one year ago to the day, I was sweating away in my Dizengoff apartment, glued to the 24-hour news reports of Lebanon II, waiting for the rocket warning sirens that were resounding throughout the North to reach Tel Aviv. I was arguing with the va’ad beit (superintendent) of my building, who was refusing to unlock the door to the bomb shelter, for reasons I discovered only after I had thrown a mini hysterical fit in the stairwell, forcing him to reluctantly open it up. The room was dank and dark, full of dust and cobwebs and the abandoned junk of present and former residents of the flats above. “You’ll have to clean this place out, just in case,” I’d said to him, making out in the squalid darkness the remains of a dead cat that had obviously been trapped down there since the last Gulf War. “You clean it out,” he’d retorted, locked the door and trounced back upstairs where the sound of the news floated out through the open door of his flat. Yelling some frustrated and undoubtedly wholly incorrect Hebrew at him about it all being on his head if they bombed and we had nowhere to go, I’d marched back up to my own flat where, of all the ironies, I was working on a travel guide to Israel that had been commissioned by a British website. While I was trying to lure readers to the ‘magnificent landscapes of the Galilee’, the very people who lived there were sitting in their bomb shelters – watching the news –and the area’s hotels had long been emptied of the visitors who had been the signs of the first real tourism revival since the Intifada. They were tense and confusing times. And very sad. There was less of the defiant togetherness that had characterized the worst days of the Intifada; the mood was very low and very bitter. Soldiers complained their objectives were unclear, that equipment was short – as was food; northerners shrieked at the government for not doing more, those under constant bombardment spat at Tel Avivians for sitting in cafes and going to the beach, while the world spat at Israel for its bombing of Beirut. Most people I knew spent each day dreading that their husbands, brothers or sons would get sent to the front, or clinging to their cell phones waiting for the SMS that would tell them they were safe back from an incursion and in Israeli territory. Because soldiers were dying – and that’s the one thing that Israel can’t take. The country’s tolerance levels when it comes to dying citizens far exceeds what it can take when boys in uniform start getting killed. For when a soldier dies, the whole national psyche goes into deep mourning. It’s a strange concept to understand and one that generated much debate among friends and colleagues at Haaretz, where I worked. Why is a soldier’s death so hard to take? Perhaps it’s because a soldier is never just a soldier in Israel but a brother, son or husband, because they are something everyone can relate to; perhaps because of the place the army is given in the media and within society as a whole, that it represents Israel’s youth and future, it’s ability to defend itself; perhaps because the army is Israel and a death reflects a vulnerability that no one wants to see, or perhaps just because they’re young, good-looking kids who should be studying and traveling and living life and when is this whole bloody cycle of death and hatred going to end? But when I found myself in floods of tears at a Channel 10 report interviewing the family of a dead soldier, in a way that I had not cried for victims of suicide bombings, I knew that I had stepped deeper into the Israeli consciousness – and that a bit of a break wouldn’t do any harm at all. There has been a great deal of talk about the anniversary of this war. You can read about Lisa and her adventures in Beirut. She was also on Channel 10 last night (Great Interview !!!) and she talked about life in Beirut a year later. This morning Yediot Achronot had a whole spread about Rinat Malkas who was in Bint Jebel last week as well and her experiences in Hezbollah country. So we really want to know where we stand when it comes to our Northern neighbors. We watched some TV programming on the before and after of this war. People that lost their life, family, legs and in some cases much more. The situation of the bomb shelters in Israel that according to government officials are 95% redone and ready, although the cameras must have seen the other 5%.. The 22 year old kid (soldier) who lost his leg in the war and how happy his parents are because it could have been much worse, and how he copes with his new situation. Then there are the families of the kidnapped soldiers who are still waiting for a sign of life, mostly from our government…and who want us all to keep the pressure on. This war is not over. It’s just taking a break. It seems like everyone knows it. For those who may not be aware, Abie Nathan recently celebrated 80th birthday. Being one of the many people in Israel who enjoyed listening to Abie’s Voice of Peace radio station: “that’s right, 1540 on your FM dial”, I was thoroughly pleased to listen to the birthday tribute made to him today by the DJ’s and staff of a local station, 100 FM who recreated the Voice of Peace today, May 12, in commemoration of this wonderful human being who has given so much of himself in the cause of peace and humanity. 1. 9-11: Abie would have certainly gone to New York City and stayed there at least a few weeks assisting in the search for victims of the World Trade Center attack, and to do what he could to help the survivors and next of kin of those who perished. He would have done this despite the backgrounds of those who became innocent victims of terror. 2. The tsunami tidal waves in Southern Asia, in December, 2004: Judging on past natural tragedies in which Abie was involved, he would have organized a large shipment of medical and other humanitarian supplies to assist the survivors of this mega catastrophe that killed nearly a quarter million human beings. One would have surely seen him in the middle of some of the worst hit areas, passing out candy and other items to children to put a smile on their stunned faces. It wouldn’t have mattered if it were in Indonesia, Thailand, India, or Sri Lanka, Abie would have gone to where he was needed. 3. Hurricane Katrina in August, 2005: Abie would have been right there on the spot to assist in the rescue of people trapped in flooded buildings in New Orleans and other areas. He also would have organized relief supplies and temporary shelter to people on the stricken Gulf Coast – many of whom who were from poorer backgrounds and not given aid fast enough during the first crucial days following the category 5 mega-storm. 4. Lebanon and Israel, July-August, 2006. Abie would have reacted immediately to the tragedy of this conflict, and if allowed would have surely aided the Lebanese as well as his own countrymen who suffered from this short but terrible war. Abie Nathan’s philosophy was to help anyone who was in need of assistance; and he would have done all he could to help those who were suffering on either side of the Israeli-Lebanese border. As it turned out, private individuals and organizations reacted much quicker than government ones; a situation still being talked about to this day. 5. Darfur in the Sudan: This conflict, now being referred to as the new holocaust of the 21st Century, would not be strange to a man like Abie Nathan as he often went to conflict torn regions, including the Congo, Ethiopia, and other places where man’s inhumanity to Man is reaching a scale of shocking proportions. Though not yet on the scale of the horrors of the Rwandan tribal massacres of the early 1990’s, what is presently happening to the inhabitants of this unfortunate region needs much more attention that what is being given by the rest of humanity. In fact, Abie suffered his first stroke while on a similar mission in Africa in 1995. Tragedies such as these only show how big Abie Nathan’s heart was in regards to helping to relieve human suffering. While these are only a few examples of crises areas where Abie Nathan would have given his able assistance, they indicate what he would have done if given the opportunity. In the realm of promoting peace, Abie Nathan had his few moments of glory in which he could reap the personal satisfaction of helping to make it all come about – one of these being in the aftermath of the 1978 peace treaty between Israel and Egypt. The ink was barely dry on the document signed by Egyptian President Anwar Sadat and Israel Prime Minister Menachem Begin, when Abie broadcasted a VOP program from a night club in the center of Cairo. It’s too bad that he won’t have the opportunity to do this again from a similar location in the center of Beirut or Damascus. Abie Natthan may be old, sick, and infirm; but he is certainly not forgotten. Not by many of us who still pray for the day when peace and understanding will finally come not only to Israel and her neighbors, but in many other parts of our world as well. 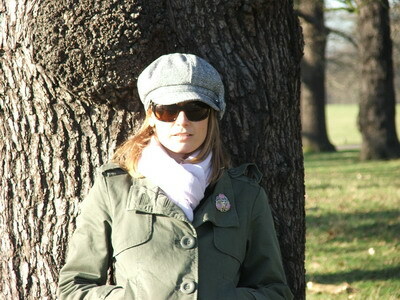 Happy birthday, Abie, and many, many happy returns! Once again Lebanon is thrown into turmoil with a little help from “its friends”. It’s like watching a baby trying to walk and a bunch of older kids coming up to it and kicking it down. Every time this country tries to make a change and build a future for itself something happens to send it tumbling back. On Tuesday, Minister of Trade, Pierre Amine Gemayel (34) was shot and killed when his convoy was attacked in Beirut. Unlike the last 5 assassinations where explosives were used, this one was more personal and gunmen using silencers at close range killed Gemayel and one of his body guards. A few days earlier, Gemayel received warnings that he was being targeted and urged his wife and 2 children to leave Lebanon. The information turned out to be accurate. Gemayel’s father, former President Amine Gemayel, urged his followers from the Phalange Party, which he currently heads, to exercise restraint and refrain from vengeance. “Pierre was martyred for the sake of a cause, for the sake of freedom and for the sake of Lebanon,” his father said. The Christian community has taken the brunt of Syrian “foreign policy” in hopes of getting invited back in by the same Christian population. The recent attack is part of the barbaric Syrian strategy that attempts to literally drown out the voices calling for an international tribunal on the killings of Prime Minister Hariri and others. Hat Tips: From Beirut to the Beltway, Beirut Spring and Across the Bay. The ‘festivities’ may have already begun as this article is being written, and the Guest of Honor himself is scheduled to appear before his adoring audience and probably deliver one of those stirring speeches that he has become famous (of infamous) for. Yes, Sheikh Said Hassan Narsrallah is back big time, and even more prominent than before. The Sheik is not only back, but he has even more ‘believers’ than before. Even before the decision was made to hold and large-scale ‘victory rally’ in the same part of Beirut that Israeli planes bombed during July and August, Narsrallah and his Hezbollah organization aimed to show the world in general, and Israel in particular, that they not only came out on the winning end of the 34 day conflict, but that they can even increase their standing to an greater degree than even they thought was possible. Of course, some damage was inflicted on their infrastructure, and they did loose some of their fighters; including some presently being held by the Israelis as bargaining chips for what they hope will soon be a prisoner exchange for the two Israeli reserve soldiers still being held by the Hezbollah. Narsrallah himself has been ‘underground’ in an undisclosed location since the war began; but may actually be seen strolling in that section of West Beirut that has been Hezbollah’s stronghold for years. In preparation for this event, in which a number of Lebanese dignitaries are also expected to make their appearance alongside the Sheikh, many of his followers, wearing yellow shirts and caps, and carrying Hezbollah flags, went to southern Lebanon and paraded themselves along the border with Israel, shouting slogans, and even throwing rocks at Israeli jeeps and other vehicles patrolling their side of the border. So, in this sense, it seems that nothing has changed since the hostilities broke out on July 12; and this is despite both the Lebanese Army and a beefed-up U.N. force in position to prevent any outbreaks from occurring. The only problem with all this is that the U.N. forces, even with more military hardware at their disposal, and with orders allowing them to attack the Hezbollah if necessary, don’t appear to be ready to do so. After all, it’s not their war, and these people now parading along the border appear to be a “peaceful political demonstration”. Demonstration? The exact same thing occurred after Israeli forces pulled out of Lebanon in May, 2000, and led to the attack against an Israeli patrol a few months later with the kidnapping of 3 soldiers – whose remains were only returned to Israel more than three years later. But insofar as the Lebanese are concerned, many of whose families received 12,000 U.S. Dollars as ’emergency rebuilding funds’ from Hezbollah (and Iranian) coffers following the conflict’s end, and with Hezbollah demolition and construction crews already tearing down an rebuilding damaged buildings, Hezbollah’s party flag couldn’t be higher now. Even Lebanon’s non-Shiite Muslim communities are happy with the Sheikh and his willingness to help his countrymen rebuild. All of this is going to be a hard act to follow for Israel’s troubled Political leaders, many of whom are being blamed for the results of the war. And coupled with an agonizing slowness of the Israeli government’s assistance for their citizens, who also sustained major damage from Hezbollah rockets, it’s easy to see why the Sheikh will be busy kissing the cheeks of so many adoring fans. Yes, the Sheik is here to stay. But judging from what happened to another popular Shiite spiritual leader, Sheik Ahmed Yassin in Gaza City, Hassan might best keep one eye cocked to the Heavens; as what might come from there may not be Devine Inspiration. A previously un-shown video of captured Israeli flight navigator Ron Arad has suddenly been released by the very people who must have even more information concerning the fate of the man that many Israelis hope may still be alive. 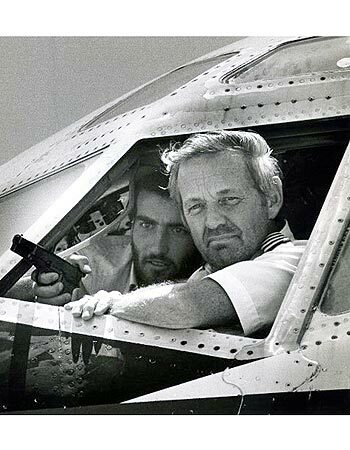 Captured in southern Lebanon in 1986, after his plane was shot down by a SAM missile, and following later photos of him in captivity, no positive additional information has been disclosed by his captors, alleged to have been either the Hezbollah or a Shiite Muslim ‘splinter group’. Arad, who’s capture and unknown whereabouts has been the subject of countless efforts to at least learn of his fate, has surfaced time and time again – especially when new prisoner swap deals have been in the making, particularly like the one now involving the two captured IDF soldiers and a number of Hezbollah fighters who are now ‘guests’ of the IDF. The deal will be the first since the January 2004 exchange in which the bodies of three kidnapped IDF soldiers and an Israeli businessman, Elkanan Tannanbaum, were exchanged for a large number of Hezbollah and Palestinian terrorists. Tannanbaum, who remains in Israeli police custody, has said little of his more than three year captivity. In this second letter, VJ, a Lebanese Beirut resident, continues with his discussion with our correspondent, of what has caused, and continues to cause, the ongoing conflict between his country and the State of Israel. As in Part I, his comments are posted in his own words. Thank you for your reply. True, there are many grey shades over the Middle East conflict ever since it first began, especially that there are many historical narratives to it. To some, Israel is an illegal state that was founded on the basis of deportation and wars. To others, Israel is a fully legal state that was properly and lawfully established, just like the rest of the countries in the world. As for me, I am totally with an independent, sovereign and LEGAL Israeli state for all its people to live in peace. I am aware of the historical overview that you mentioned, and let me add by saying that the Arab governments and leaders at that time were not that smart or wise in dealing with the Palestinian problem. However, the Arab mistakes do not justify the Israeli brutality. And the Arab mistakes, do not rule out the fact that Israel did and still does violate International law just like I explained before. In 1978 the Ambassador of Israel in London is shot and wounded. 6 hours later, 28,000 Israeli-soldiers invaded the Lebanon. They occupied 20% of Lebanon for the next 22 years. Israel’s “claim” that this war was against the PLO was false: Everything in Beirut was destroyed, from civilians to infrastructure to hospitals. Nothing was spared. And for what? For an Israeli “ambassador” in “London” that was “wounded”. So, for that ambassador, Israel killed thousands in Lebanon. It violated international law, the PLO got more support, and other groups started popping up, like Hezbollah. Do you think it was a smart move from Israel? So again, every time you hate Hasan Nasrallah, remember that it was your government’s present and previous wrong and unjust strategies that made Hasan Nasrallah powerful, making him by far the most popular man in Lebanon and the Arab world today. I know the justifications about Israel’s occupation of Lebanon and other violations. But the fact remains: it is a violation of international law, and it remained not 1 or 2 years (like 1559), but 22 consecutive years. And what made things worse, is that it was an occupation of a residential land, where people live. Schools, hospitals, mosques, churches and homes were around the place. I am sure those people would praise and worship Hezbollah when they know that Hezbollah is fighting an occupation which has been in their land for so, so long. As for the suicide bombers; first of all I do not support them. I am against all sorts of violence that targets civilians. How do you expect them to react? They lost everything, and have no hope in a future. They have a “living body”. That’s it. That’s all what they have. And all of that are because of Israeli policies. How do you expect such humans to react? Again, I do not support suicide bombings…but once again, try to analise “why” are they happening and continuing to happening and even being taught in schools. Be careful. I’m not “justifying”. I’m simply trying to “explain” why. I might be totally, totally wrong. To me, those are the root causes, behind Hezbollah, Nasrallah and a lot of the terrorism in this region. I hope you would agree with me somewhere. Unless you believe violating international law is justifiable, and that it has no consequences. The following is continued from part 1 of the series, in which a Lebanese Beirut resident expresses his candid and very frank views with one of our writers. The issues are both the Israeli-Lebanese conflict, and Israel’s historical role in the region; which he feels has contributed to events as they are today. Well, it was a good initiative from you to start the discussion with your views about the conflict, especially Hezbollah. Allow me to share my views as well. I will be as comprehensive and objective as possible. Let me begin by expressing my sorrow and sending my condolences for all the innocents who died as in this conflict on your side. I hope this nightmare ends soon. Why was Hezbollah created in the first place? Hezbollah was founded in the early 80’s, backed by the Iranian revolution, and motivated as a direct response to the Israeli invasion of 1982. Ever since then, Hezbollah had the main target of resisting the Israeli aggression, and then went on and “tried” to implement the “Islamic State” target in the Lebanese Civil war, yet did not succeed in doing that. After the civil war, Hezbollah spread, and got strengthened, supported from so many sides, greatly motivated, and most importantly got very popular in Lebanon as a result of the continuing Israeli occupation of southern Lebanon. All through the 90’s and until now, Hezbollah has been known to be a “resistance” group more than anything else. I am not denying their ambition to form an Islamic state (which is no longer their priority anyway) and neither denying their strong ties to Tehran both ideologically and militarily. Rather I am explaining what made them become sooo popular, strong and even legitimate with Lebanon and even around the Arab and Islamic mainstream: It was the long Israeli aggression on Lebanese lands. This is what gave Hezbollah its ultimate legitimacy in Lebanon and its number 1 reason to obtain weapons of all kinds, take control of the south and have an overwhelming unprecedented public support…until it became an actual part of the society itself. And all those are facts, not views. So, in other words, if you hate Hezbollah that much…do realize that it is your country’s ILLEGAL and BRUTAL actions are the main reasons behind what Hezbollah is today. Those actions 1) created a motive for Hezbollah to start 2)made Hezbollah popular 3)gave it legitimacy 4) made it more and more powerful. Regardless of what justifications you might give for Israel’s actions in Lebanon, by an undeniable fact they were 1) illegal 2)brutal. And those two adjectives are more than enough to generate so much hate for Israel and its people (unfortunately) and so much support for Hezbollah, Hamas and other similar groups. Hezbollah did not become popular all of a sudden, or out of the blue sky. Neither was it created for no reason in the first place. There were driving forces for that, and the Israeli actions in the region and Lebanon in specific were the biggest driving forces. So to conclude, Hezbollah in Lebanon is a natural, public reaction of resistance and revenge towards the Israeli long-term-aggression on Lebanese land. Does that mean that if Israel did not occupy Lebanon, Hezbollah wouldn’t be there?? No. Not necessarily. Probably Hezbollah would’ve been founded anyway, but it would have definitely been in a different form and with no such public support as it has today, not at all. It would be nothing more than some Shiite political party just like other parties in the country. Ever since the early 40’s, Israel, unfortunately, has consistently, and repeatedly violated UN resolutions, Geneva conventions, Humanitarian laws and a lot more. This has resulted in more and more hatred, rejection and desire for revenge among the public against Israel and whatever it represents. And this all started happening before Hezbollah, before Hamas, before Aqsa, before Al-Qaeda…before them all. In case you don’t know, there are up to 68 UN resolutions were announced against Israel. 68! Big number isn’t it? Can you name me ONE other country that had such a big number of UN resolutions against it? I can’t think of any. This, without mentioning the many UN resolutions that were VETOED by the Uncle Sam. The most recent one was in this war. Currently Israel violates many UN resolutions, and I will limit my focus on two main ones: resolutions 194 and 242. 194: The return of the Palestinians that were deported. They were deported out of their own homes…you expect them to accept it as a fact and shut up? No. It’s their home. Their shelter. I mean if you kick an animal out of its shelter, it will react by attacking you. How do you expect humans to react? Now you might tell me, “it’s impossible to implement 194. It’s unrealistic. There are far more Palestinian refugees around the region than the whole Israeli population.” I’ve heard those arguments lots of times. But no matter what, this doesn’t change the fact that Israel mainly made this problem, and Israel should be responsible for its consequences, no one else. You can’t make 4 million Palestinians return, at least DECLARE their right to return, acknowledge it, affirm it, confess that they have the right to share land with you, and that would be better than denying them their rights. Israel even has settlements in the Golan Heights. How legal is that? I mean it’s not just a violation; it’s a manifestation of a totally new existence on an occupied territory. Of course, Israel has bunch of justifications for that, mainly strategic: Access to the Tiberias lake and the strategic locations of the Golan Heights are vital for Israel’s future security. So, it’s Israel’s security on Syria’s expense? To you it might sound right, but to me, and the international community, it is ILLEGAL. i.e., no excuses are ever valid. Above all that, in each and every war, Israel makes sure to violate all sorts and kinds of humanitarian laws. Bombing civilian areas, using forbidden weapons, mistreating prisoners, occupying land…and the list goes on. So it’s violation after violation…and not any kind of violation…MAJOR violations that are related to the people’s safety, land, dignity and existence. And Israel does all that, with pure, blunt, ever-existing, continuous American support. This explains the root cause of the widespread anti-Americanism in the Arab and Islamic world. So with all those obvious violations to what matters the most to humans: their land, their home, their security, their future and well-being. How do you expect the people to react?? Hamas. Fatah. Hezbollah. Al-Qaeda. Al-Aqsa Birgades..and more. Yes, those groups are fanatics, sometimes evil, have goals beyond justice and are politically oriented. But what kind of result would you expect after decades and decades of no justice? of humiliation and aggression? They did not materialize from nowhere. Resolution 425: Wait! Israel implemented that. That’s true..but only after 22 years. When Israel stays 22 years in Lebanon. On Lebanese land. Violating international law. How do you expect the people to react? Sit and watch? Never. Even if not 1 bullet was fired by Israel (like in the Golan Heights), the people have every single right to hold a weapon and fight every single Israeli soldier on their own land. 22 years is a long time. During that time, hatred was being accumulated, tension was rising, and fanaticism looked to be the most effective way of sorting out the problem…and you wonder why Hezbollah is so strong and popular and still legal in Lebanon? Well to the Lebanese, it wasn’t diplomacy that forced Israel to withdraw, and it wasn’t a truce. It was Hezbollah. You may tell me “well, Israel needed to secure its borders from Palestinian militants and other terror organizations, so we had to remain in Lebanon for security reasons”. So you violate international law? And for 22 years? You want to secure your borders, secure your borders WITHIN your borders, not on somebody else’s land. It’s common sense. So, this “security excuse” that Israel declared for its occupation of Lebanon actually backfired on its own security by making Hezbollah so popular and strong until it became the biggest threat on Israel’s borders so far. And here I’m only dealing with the Israel-Lebanese side of the conflict. I won’t go much through the Palestinian-Israeli part of it, because it has the same story: violations, violations, occupations, occupations, humiliations, humiliations and the same result: Hamas, Al-Aqsa, terrorism and so on. It saddens me that Israel is the only country in the world that does not have fixed borders. It is the only country in the world that has made so many wars with its neighbors ever since it was created, and still does so 55 years later. It also saddens me that Israel is the greatest violator of various sorts of International law. And then..it declares itself a “democracy” ? Talking about Qana…which is the second massacre by the same aggressor in the same village in 10 years, I’ll just say this: It is such massacres that put an eternal end to peace. It is such massacres that plant deeply rooted feelings of hatred and revenge in the hearts of children as they grow. It is such massacres that make peace unachievable. It’s more than just a “mistake” by the IAF. It has long, long, long lasting effects. Well…. The air-strikes cease-fire (which didn’t take effect by the way) is about to end in a few hours. So I’d better head to bed. Though I’m not sure it will be safe. Sorry for the too-long e-mail. But I had a lot to say, and I hope it wasn’t a waste of your time. What I mainly want to tell you is this: Don’t simply narrow it down to Hezbollah and Iran. The conflict is far beyond that. It is your government’s persistent illegal and inhumane policies that are making this big mess, and I showed you how, based on international law. Not Lebanese law and not Iranian law, rather a law that you and I and the civilized world should abide by. And this did not start in July 2006. It started long, long ago…and would last for as long as your government continues to plant seeds of violence among the people of this holy land. I would be more than happy to receive your blunt and honest feedback and criticism. The following is part of a series of discussions by one of OJ’s writers and a Lebanese person living in Beirut (going by the name of VJ) who is very concerned with what is now happening to his country. His full comments concerning the Israeli-Lebanese problem will be included in next posts. These were some of the questions VJ had for our writer. These are all personal views. Well I always thank you for your replies, although they are always shorter than mine. But, now that I understand your situation, I salute your hard work. Do you agree with me that many of the Israeli policies in the region for the past several decades have proven to be one of the main reasons behind many of the conflicts and wars we’re experiencing today? This war included? As (former) U.S. President Bill Clinton once said, “It depends on what you mean by ‘reasons’ and ‘policies’. You may recall my writing that military response by Israel, since independence in 1948, has been the result of being confronted by force. This was especially true when after being in existence as a declared independent state less. than 24 hours, Israel was aggressively attacked on all fronts by a much larger and better equipped Arab Legion. The term ‘confrontation’ also has included drastic economic ones as well, as in the 1956 Sinai Campaign when Egyptian President Nasser tried to nationalize the Suez Canal as well as Block shipping in and out of the Gulf of Aqaba. The Six Day War of 1967 began due to the same Mr. Nasser again attempting to put an economic stranglehold on Israel, as well as massing troops and armor for an eminent attack on Israel. Israel just decided to beat him to the draw by attacking first. All the rest of the conflicts have been the result of being attacked or confronted by either direct military force, or by acts by guerilla forces or terrorists. This includes both previous confrontations involving IDF forays into Lebanon. Some policies which now appear to have created more problems than solutions, have been the intense settlement policies of previous right-winged governments; involving both the West Bank and Gaza – resulting in two ‘intifadas’ and the present state of near-anarchy in Gaza and PA “governed” parts of the West Bank. As for this present state of affairs in the conflict involving both our countries, all this might not have happened if an elderly man, lying comatose in Tel Hashomer Hospital, had been able to still be heading things, instead of the ones who are now governing in his stead. I won’t comment more on this problem as others, more qualified than myself, already have. Do you agree with me that the IDF’s military strategies have proven, at least in this war, to be ineffective to a great extent? I’m definitely not an authority on military strategy, other than what I’ve often seen on good war movies. My two article series: A Hill Too Far; and the one I wrote concerning whether the tank is still an effective instrument of modern warfare, notes my comments concerning battlefield strategies. Again, though professing not to be an authority on such matters, putting an Air Force Commander in the position of Chief of Staff, is not something I would have done, if in a position to do so. As for who is presently sitting in the chair of the Defense Ministry, I don’t need to comment on this any further. Do you agree that many of the IDF’s military actions are planting more and more hatred within the hearts of innocent civilians who are seeing their families dying every single hour? Definitely! How can people hold any regard for us if we’re trashing their country, no matter what the reason? That your country’s government didn’t do anything to try to disarm the Hezbollah, despite a U.N. resolution requiring the Lebanese government to do so, means that most Lebanese either accept the Hezbollah within their midst, or are simply too intimidated to try to throw them out. It is true that they (Hezbollah) have provided various services and helped rebuild your country following the ravages of both the Civil War, and the 1982 Lebanese War. Those services, however, have come at a price. And even if Hezbollah helps rebuild Lebanon after this conflict ends, you may wake up one day to find yourselves living in a Narsrallah ruled Islamic Republic, similar to (or even worse than) Iran; complete with strict Sa’ari Islamic Law. News from the Northern Front is not arriving very pleasantly for Israel’s population. With 12 reserve soldiers killed in a Katyusha rocket attack a few days ago, and another 15 killed Wednesday in the worst day of fighting to date, there is no doubt that lights are still on in the offices of the Defense Ministry in the wee hours of the morning – every morning. Battles being fought in Lebanese towns and villages near Israel’s border, including the alleged Hezbollah ‘terror capital’ of Bint a-Jbail, are taking a severe toll of Israel’s ‘citizen solders’ , long considered to be one the country’s most important sources of manpower in a national emergency. And with current on-the-ground realities all too apparent (especially for the country’s northern population), this is indeed a national emergency. Well, face to face it is, and the question before all of us, particularly government and military leaders, is whether reserve forces, who only a few days before were sitting in their high tech offices and work stations, or relaxing after completing final examinations at the country’s colleges and universities, are ready to engage an enemy who not only has spent years of training and preparation, but for personal and religious reasons is not afraid to commit the ultimate sacrifice on the field of battle. Many IDF casualties have been the result of tanks and other armored being hit by anti-tank missiles, most of which can be launched by one man from hidden locations; further damaging the faith in the reliability of these types of military hardware in the terrain they have to fight in. A lot has transpired since Israel decided to launch a large scale military operation which has been going on for a month, with a cost of nearly 130 lives (38 of them civilian) and an economic bill of more than 7 Billion N.S. ($1.59 Billion). Israel’s northern populations are either continuing to live in and out of shelters, or have left altogether (including near mandatory evacuation from towns such as Kiryat Shmona). Hezbollah, and Sheikh Nasrallah are still very much alive, and the ‘etre cause de’ of the entire conflict – the kidnapped soldiers – remains unchanged. “Amateur Hour” may be over, as a local commentator so correctly put it; but the big question now is: what comes next?